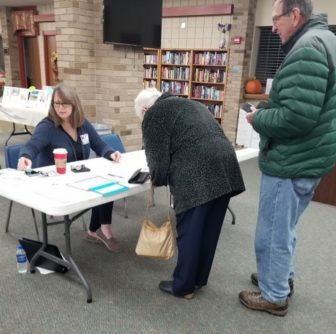 Through noon Tuesday, there were nearly 400 voters through the Meridian Senior Center — Precinct 15 in Okemos. Photo byKarrun Farmaha. Tuesday signaled the end of the midterm election season — and the end of the deluge of political ads on television, in residents’ mailboxes and even via text message. According to an analysis of ad-spending by NBC News, nearly $3 billion has been spent on TV and radio advertisements in the House, Senate and gubernatorial races. Warren isn’t the only one who started to tune out the ads. Voters on campus and across Michigan are headed to the polls today to elect a new governor, attorney general and secretary of state, among other offices. Michigan voters also will cast a ballot for three ballot issues.